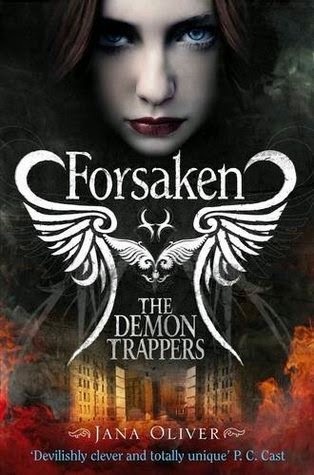 I'd like to give a warm welcome to Jana Oliver, author of THE DEMON TRAPPERS series. 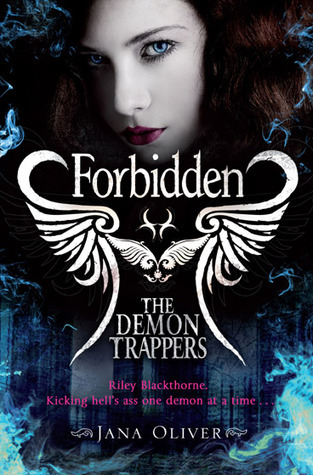 You can read my review of the first book FORSAKEN (aka THE DEMON TRAPPERS DAUGHTER in the US) here and the second book FORBIDDEN (aka SOUL THIEF in the US) here. Actually, I didn’t want to be a writer when I was young. I wrote stories when I was junior high and high school, but I always wanted to be a spy. Reality set in and I became a registered nurse, then a number of other professions over the years. It wasn’t until 1998 that the writing bug really bit me. Anywhere I can. Mostly it’s at my desk in what I call the Oriental Room. It’s a room filled with artwork and small statues I collected in Hong Kong, Taiwan and Japan. If my brain isn’t really cooperating I’ll move out into my sunroom to work or I’ll go portable to a coffee shop. The key thing is getting those words on the computer each day. If you're having writers block what do you usually do to get out of it? I go back and read what I wrote the day before and if that doesn’t get me writing I putter around the house and clean. That allows my mind to rest and I can figure out whatever is holding me back. Then I return to my desk and pound away on the keyboard. If you could hang out with one the characters for the day who would it be? Now that’s a tough question. I like Riley a lot so it would be fun to hang with her. On the other hand, a day spent with Beck might be really interesting but it certainly wouldn’t be boring. Maybe after a full day of trapping Hellspawn we could go to the Armageddon Lounge and shoot some pool. There would be no betting involved – I’m not that good. I enjoyed reading from both Riley's and Beck's POV - will we get to hear from Peter/Simon's POV in book #3? The books will all be from Riley and Beck’s POV, though Ori’s POV was present in Book #2. I’d love to get inside Peter and Simon’s minds, but I want to keep the focus on the main characters. What inspired you to write the Demon Trappers series? I have always been captivated by angels and demons and I thought it would be intriguing to have a young girl get caught up in the Grand Game between Heaven and Hell. I wanted to examine the bigger issues of right vs. wrong, how a teen girl confronts a profession that is predominately male and how she makes mistakes and lives with the consequences. And, to be honest, it’s a lot of fun to write Riley’s scenes when she’s out trapping demons. Beck likes Taylor Swift - are you also a fan? I’m very partial to murder mysteries and urban fantasies. So I read stories by Ian Rankin, Charles Todd (mysteries) and Ilona Andrews, Jim Butcher and Seanan McGuire when it comes to gritty and engrossing urban fantasies. It was Libba Bray’s REBEL ANGELS about a young woman in a Victorian boarding school that has magical capabilities. Next on my to-be-read pile is Maggie Stiefvater’s SCORPIO RACES. If you could travel back in time who would you want to meet? I’d like to meet Chief Inspector Frederick Abberline, the copper in charge of the investigation into the Whitechapel murders in 1888 (the guy who was hunting Jack the Ripper.) I’d love to buy Fred a pint and hear his take on the investigation. Thank you for having me by!!! I have the two out so far in this series in my tbr pile. They sound so good! Now that is an interesting person to go back and visit! Awesome answer. Loooooved Soul Thief! I can't wait until the next book to see that confrontation between Beck and Riley. 'Cuz I know its coming! And after the change Simon went through I don't know if I'd like to get inside his head. I'd only get angrier at him..
@SisterSpooky - it was just that. Beck looks down at me, shakes his head and says, "Here, woman, ya need t listen to some good music for a change." @Ashley - Inspector Abberline had a stellar career except for the Ripper killings. During the 120th anniversary of the murders the London Docklands museum had an exhibit about old Jack. They had Abberline's diary, as it were, which had clippings from the newspapers on all the famous crimes he'd worked on. There were none of Jack the Ripper. That's why I'd love to go back and talk to the copper who just couldn't close the case. It'd be a fascinating conversation. @Amy - Thanks! You're right, it's only going to get sharper between Riley and Beck until they learn their lessons. And Simon has a long way to go.